This means we have received training in the practical implementation of ISO 12647 and operation of the PrintSpec Colour QA System. We have appointed ‘Colour Champions’ on staff, our head printers have a colour QA team focused on creating a culture of continuous improvement through the measurement and analysis of colour. We use printing equipment and consumables combinations that have been optimised to meet the targets and tolerances of the ISO 12647 Specification – plus the demanding grey balance appearance targets of the Mellow Colour PrintSpec System. We use D50 lighting in colour critical areas for viewing prints and proofs. Our colour measurement instruments are regularly calibrated and certified by the manufacturer, and reviewed every six months by a Mellow Colour specialist for revision training and review. In other words we have put a lot of resources into producing consistent standardised colour appearance conforming to the ISO 12647 Specification. Mellow Colour 100 Club Membership is only awarded to ISO 12647 Proficient Printers who provide PrintSpec Reports made from recent production print runs that show a score of 100. 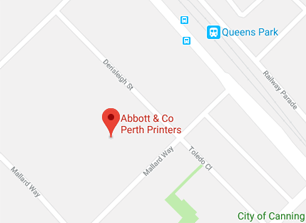 This means that Abbott & Co Printers and Packaging is capable of producing work 100% in compliance with the tight targets and tolerances of the Mellow Colour Quality management system.